· Behaviour in lessons and around the school is exceptional. Pupils say they are happy and feel safe at school. They act responsibly in the play areas and are very helpful to one another. · Pupils’ attitudes to learning are exemplary and play a significant part in their good achievement. They are keen to be involved in their own learning by answering questions and sharing their knowledge and understanding with others. discourages discrimination and rewards pupils who try hard to produce their best efforts. 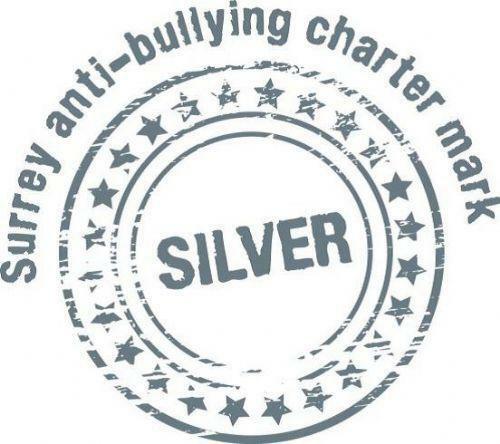 Consequently, all pupils, including the most vulnerable, feel safe because bullying incidents, on the very few occasions when they occur, are dealt with exceptionally well. · Pupils have excellent social skills. They are confident speakers when conversing with adults and other pupils. They get on well together and work constructively in groups. Pupils are extremely respectful of each other and this contributes to their good learning. · Pupils feel safe in the school. Parents and carers, as well as staff, have confirmed this. They take responsibility for their own and others’ safety. They know right from wrong and often correct each other. They are fully aware of all forms of bullying, including e-bullying. · Pupils enjoy school and, as a result, their attendance has been consistently above average for the last three years. How do we ensure good behaviour at Yattendon and celebrate positive attitudes? At Yattendon we have clear School ‘Rules’, ‘Consequences’ and ‘Rewards’. These have been devised through consultation with the children, the parents and the staff. These expectations are displayed in every classroom and are also displayed in communal areas and are constantly referred to by the staff. We believe that outstanding behaviour results in highly effective learning. We are very clear about what we deem as outstanding behaviour. It is more than just children being compliant, quiet and polite. 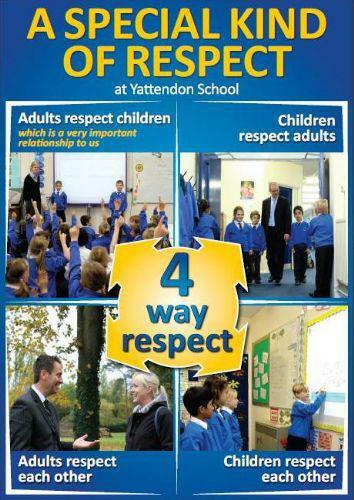 Yattendon is a ‘values’ school. An important part of our ‘shared vision’ relates to our twelve school ‘values.’ These aim to promote positive emotional health and are designed to combat stigma and discrimination. Running through our ‘Values Curriculum’ is an understanding that the recognition of the worth and integrity of all involved in the life and work of the school, is central to the creation of a values-based learning community that fosters positive relationships and quality in education. One of our on-going school development targets is to continue to improve children’s behaviour through involving the children themselves in identifying and managing challenging behaviour. We discussed, as a staff, how we might meet this target and we came up with the idea of a ‘Yattendon Behaviour Meter’. We explained the idea to our School Caretaker (Mr Rob Whiting) and asked him to create a ‘Behaviour Meter’. We were delighted with his ingenious creation - see the photo above. 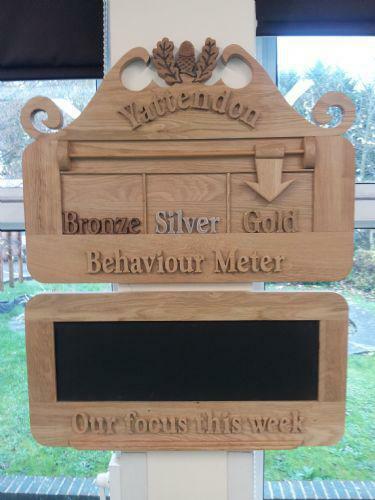 The Behaviour Meter has been mounted in the School Hall so that it can be used during whole school assemblies. The School Council met to decide on how best to use the Behaviour Meter; once a term, each class will be asked to discuss and judge whether their peers’ behaviour around the school is ‘bronze’ level, ‘silver’ level or ‘gold’ level. In addition, and importantly, they will have to provide reasons for their judgements. I.e. it was ‘gold’ level because…….They will inform the rest of the school of their judgement during Celebration Assembly on Friday and then they will write the behaviour focus for the forthcoming week on the chalkboard beneath; it might be behaviour in the corridors, in the playground or in the School Hall during lunch etc. We hope that this will engage the children more in understanding what constitutes ‘good’ learning behaviour and helps them to self-regulate. The weekly judgments are communicated each week in the Friday Flyer. 1. Staying safe at the start and end of school - showing particular attention to safety when in school and leaving school. 2. Moving through the corridors safely and sensibly - not running or making too much noise. 3. Playing in the appropriate areas and not hurting others. 4. Helping someone in the playground - they might be left out; someone is having a friendship issue or injured. 5. Lunchtime - sensible behaviour at lunch and at the hatch and making sure to share and respect equipment. 6. End of break and lunchtime - doing the right thing and making sure that you are standing still and silently. 7. Assembly - entering the hall quietly, making sure to sit beautifully during the assembly and then leaving quietly. 8. Year 6 Play Leaders kindness - leading play for younger children. 9. Class behaviour - class medal system awarded by class teachers. 10.Staying sensible during an emergency. If a class sees 9 or 10 of this great behaviour then the school will be awarded GOLD behaviour status. If a class sees 6-8 elements of this behaviour then you will be awarded SILVER behaviour status. If a class sees 5 or less examples of this good behaviour then you will be awarded a BRONZE behaviour status. Praise-centred model of behaviour management. Our approach of using a positive, praise-centred model of behaviour management aims to provide a framework for establishing a happy, secure and caring environment where all the children at Yattendon can flourish. ALL adults are committed to role-modelling ‘4-Way Respect’ - see the poster above. 1. Children show respect for adults. 2. Adults show respect for children. 3. Adults show respect for adults. 4. Children show respect for children. At Yattendon we believe that highly effective schools are particularly strong in the second relationship. Zero tolerance of offensive or inappropriate language. It seems that children are increasingly using language that adults may find objectionable especially when it comes from the mouths of children. Overall, society has taken a more relaxed attitude about swearing than a generation ago, but at Yattendon we are in total agreement that we should not accept offensive language since we feel its use will erode the strength of our values, most notably ‘respect’. Even in households where the standard of appropriate language is fairly lenient, children need to know that others outside of the family may consider swearing to be disrespectful and unacceptable. Many people, even those who have no particular opposition to swearing, view it as lazy speech, giving the impression that the child (or adult, for that matter) has a limited vocabulary and has trouble expressing themselves in an intelligent and articulate manner. At the very least, children should understand that when they choose to swear, they are presenting themselves in a way that may be poorly received and that in certain places or circumstances, swearing is never acceptable. Bullying in any form by anyone will not be tolerated at Yattendon School. We do not accept any sort of behaviour which hurts, threatens or frightens any member of the school community. Every child has the right to feel safe and secure in school and in the playground. We believe in eradicating bullying without victimising the bully. Victims will be confident that support will be given and that action will be taken against the anti–social behaviour of bullies. We operate an ‘open-door’ policy for parents and carers and endeavour to engage their support in all our initiatives. Should a problem arise at school we strongly encourage parents to speak to the teachers on the playground before or after school in order to resolve any issues quickly. We believe that the best outcomes for young children occur when the school and the parents work together. So, how do we tackle unacceptable behaviour and give children the tools they need to ensure that they can meet our shared expectations? The staff help the children understand why their behaviour is unacceptable. We firmly believe that ALL children need boundaries; given clear boundaries children feel safe, secure and happy. When children push or cross the boundaries it is our job to point this out, explain why their behaviour is unacceptable and, in line with our agreed consequences, ensure the children are appropriately reprimanded. Some occasions will necessitate the need for the adult to speak directly to the child and make it very clear that the behaviour will not be tolerated at any point. Other occasions may require a more empathic approach. Our staff are skilled to use their discretion and will act in line with our agreed approach. Mentoring - a Senior teacher or the Head Teacher acts as mentor for a behaviour improvement programme, linked to the specific needs of the child, in partnership with parents. Severe misbehaviour - this calls for an immediate consequence by senior staff, the child loses the right to progress through the consequence list and parents are informed immediately. Incidents of bullying and fixed term exclusions are recorded by the school and are also reported to School Governors and the Local Authority. Anti- bullying week at Yattendon happens annually with the aim of increasing awareness of bullying and ways to overcome it. Incidents of offensive or inappropriate language are recorded and these are reported to School Governors on a termly basis so that trends can be analysed. Incidents of racism are also recorded and these are reported to School Governors and the Local Authority on a termly basis so that trends can be analysed. We recognise how important it is to engage the support of parents and carers and we inform parents / carers by letter of incidents when their child has been involved in the use of racist, offensive or inappropriate language. The School Library is used as the ‘Reflection Room’ during lunch time. Two of our Senior Learning Support Assistants (with HLTA Status), who have been trained in using the ‘Restorative Justice’ Approach, supervise this provision. It is a pre-emptive tool to provide staff with the option of giving children, whose behaviour has been challenging during the morning, a quiet place to spend their lunch break, where they can reflect on how their earlier behaviour has not been in keeping with our whole school approach and Yattendon’s five principles of behaviour. Midday supervisors can send children to the Reflection Room at lunch time when their behaviour has been unacceptable in the dinner hall or on the playground. The Restorative Justice Approach is used when appropriate (see below). The Reflection Room can also be used as a calm environment for those children who, for a variety of reasons, might find it difficult to manage their behaviour on the playground at lunch time. The Reflection Room is also a base where children can work through their positive behaviour programme, supported by a member of staff. Restorative justice is a process that aims to bring together both those harmed by bad behaviour and those responsible for it, enabling everyone affected by a particular incident to play a part in repairing the harm and finding a positive way forward. Parents may be informed if a child comes to the Reflection Room on a number of occasions. If the Restorative Justice process does not support a child to improve their behaviour they will be offered the opportunity to work through a Positive Behaviour Programme, supported by a senior member of staff as a mentor and their parents. The Programme will be tailored to the individual but will cover areas like self-control, self esteem and positive play. Our Home School Link Worker Team is an effective tool through which we can help ensure that the children flourish in our care. What are the most common issues that the HSLW Team deals with? What is the goal of the HSLW Team? We want all children to enjoy school and be happy and secure. Learning Space is a charitable organisation that works in schools to improve the lives of children, young people and their families. A representative from Learning Space spends all day Monday in Yattendon School working with individual children. The aim of Learning Space is to raise self-esteem and confidence in children and young people and to help them to improve their relationships and behaviour both in and out of school. Weekly ‘Pastoral Care’ meetings are attended by all school staff and provide an opportunity for any concerns about children to be shared between all those who may come into contact with them. The governing body monitor the rate of suspensions and exclusions, and ensure that the school behaviour policy is administered fairly and consistently. For further information please refer to Yattendon’s Behaviour Policy, available on the school web site and in the School Policy file which is located in the foyer outside Mr. Cole's office.